“We have some situations where diet is pretty uniform throughout a fish’s life and some situations where diet changes a lot when a fish grows to a certain size,” said Nereus researcher Dr. Becca Selden. In a new paper, Selden investigates what this distinction means for the prey and competitor species left behind after big predators are fished out. By leaving predatory fish like cod alone until they reach a certain length, fishers ensure that they have a chance to reproduce and contribute to the population size. This increases the sustainable catch (compared to other methods) and decreases the risk of over fishing – in other words, it works really well to make sure there are always enough good-sized predators to be caught. Which in turn, of course, leaves a lot fewer decent sized predators in the water. This can be problematic for a number of reasons. Bigger predators not only eat more than smaller ones, they eat bigger, tougher and quicker prey; in fact, large and small predators within the same species can have diets that are more different than predators of different species that are the same size. So if you drastically change the number of big predators out there, you’re going to end up changing how the populations of prey and competitors fare as well. Selden was particularly intrigued by the case of groundfish on the Scotian Shelf. After intense harvesting of the largest groundfish, the remaining fish were less than half of the average size in the 1970’s. This worked fine for the groundfish; when some fish populations shrunk, smaller predatory fish populations expanded to fill the gaps. This allowed overall predator biomass to remain consistent for 40 years. But the prey species that were too big, tough or fast for the smaller groundfish to catch no longer had anything regulating their numbers. Their populations tripled. Selden wondered whether changes in the size of fish left in the water would always have such a big ecosystem impact. Was the Scotian Shelf really a unique case? Selden and her colleagues used a mathematical model to test that question. They found that when you remove the largest fish for species with late and abrupt changes in their diet you end up with drastic impacts on the ecosystem. When a diet change happens after a fish reaches maturity, many will be harvested before they get a chance to eat their new prey. This essentially breaks the predator-prey link between the two species, even when done sustainably from a single-species perspective. “This finding has implications for ecosystems and fishery management alike,” Selden said. She used pacific cod as an example. Selden explained that pacific cod eat tanner crabs when they are small and switch to eating pollock when they reach a certain size. Let’s say you’re a crab fisher. You know that cod, the predator of your tanner crabs, is being fished down. Logically, it follows that you can probably go catch more crabs than you otherwise would, and still have a sustainable harvest. “And that’s not necessarily true,” Selden said. “Because the cod fishers are only taking out big cod. And big cod eat pollock, not crab. 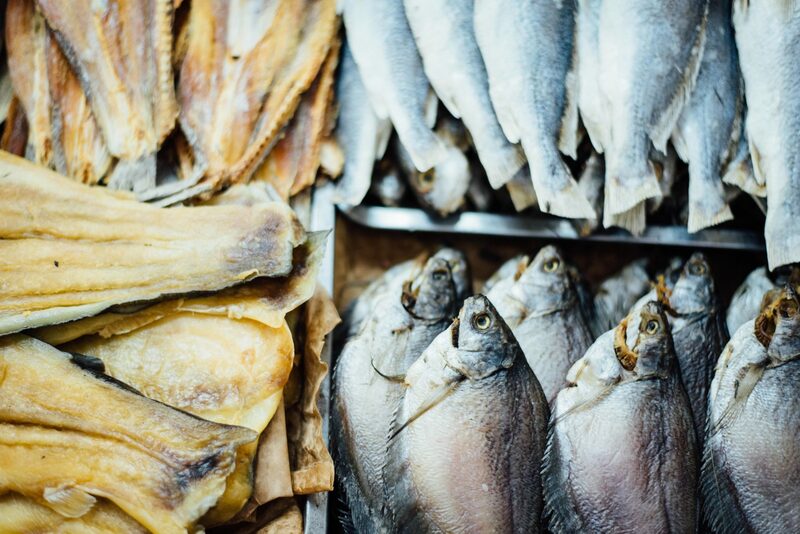 If you don’t take diet-switches into account, you might be overfishing your crab.” On the other side, say you’re a pollock fisherman who isn’t taking diet switches into account. 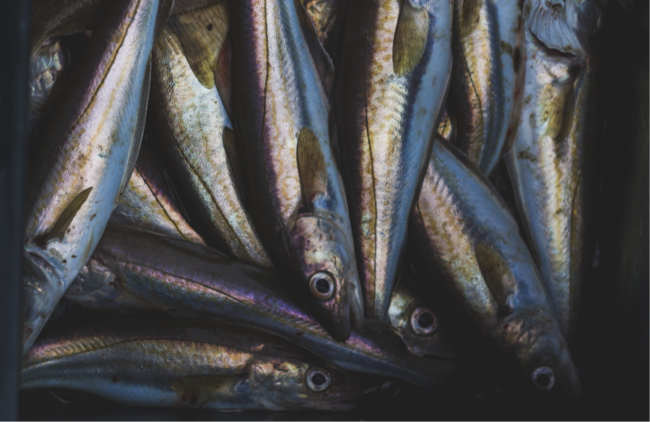 Since the cod fishers are catching as many large cod as possible, there aren’t many left to eat your pollock; which means you might actually be under-fishing. Research done in collaboration with the Sustainable Fisheries Group at UCSB. Full paper here.